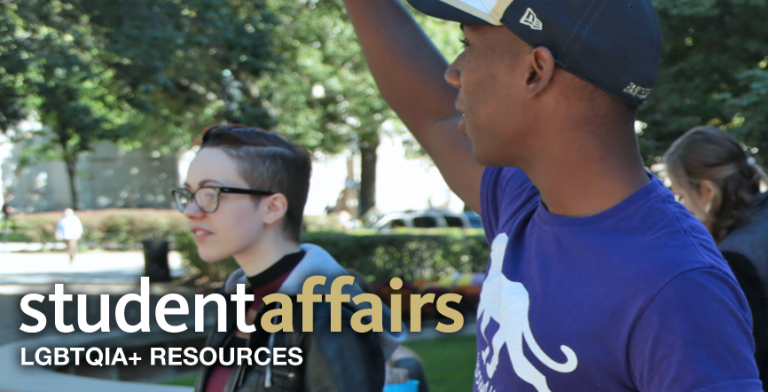 Co-sponsored by the Division of Student Affairs and the Anti-discriminatory Policies Committee of the University Senate, in collaboration with the Rainbow Alliance, the Allies Network program is designed to improve visibility and support to lesbian, gay, bisexual, transgender, queer, intersex/asexual, and allied (LGBTQIA+) students and employees. While other individuals from underrepresented populations can often identify role models and mentors, the invisibility of sexual orientation sometimes makes it difficult for LGBTQIA+ members of the University of Pittsburgh community to ascertain where they can safely turn for support and information. The Allies Network program will provide easily recognizable individuals who will be available to provide these resources. The Allies Network logo, which is displayed on the office doors of program participants, is a message to LGBTQIA+ students and colleagues that an employee has participated in the Allies Network training and is committed to increasing their knowledge of and sensitivity to LGBTQIA+ issues. The sign allows the campus community to identify program members and lets individuals know that they can speak freely with these individuals about issues, including sexual orientation and gender identity, which may affect their academic success or job satisfaction. Allies Network members will be able to provide assistance, as needed, including referrals. Since the Allies Network program also strives to improve the campus climate for LGBTQIA+ individuals, the sign also signifies that Allies Network members will challenge homophobic and heterosexist comments or behaviors in an educational and informative manner. In order to further publicize the Allies Network program, we are working to establish an online database of program participants. Please be patient and check back at a later date.